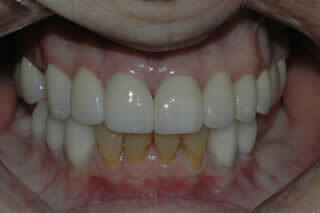 A full mouth reconstruction including dental implants and all porcelain crowns was done. 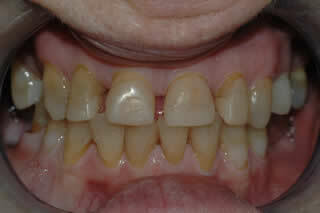 This procedure not only restored teeth but also restored patient’s self-esteem and confidence. The lower photo shows all the teeth completed except the lower front teeth to show you the contrast.